Supervise children – Obviously, you should never allow kids to play with fireworks. However, it’s not uncommon for children to play with sparklers. While they seem relatively harmless, sparklers can injure youngsters. Make sure there are adults present to supervise when children handle sparklers. Only use legal fireworks – Although fireworks can be legally purchased in California, they must have a state fire marshal-registered seal. Have a bucket of water nearby – If you’re lighting fireworks, make sure you have a bucket full of water or a water hose nearby. If a fire breaks out, you should be able to immediately douse it. Be careful lighting fireworks – When lighting fireworks’ fuses, make sure you are not standing above other fireworks. Once lit, retreat to a safe distance. When lighting fireworks, also ensure there is nothing flammable nearby, like woodpiles. Don’t relight fireworks – Any fireworks that didn’t torch the first time shouldn’t be relit. It means they are malfunctioning and relighting could be dangerous. Douse used fireworks – Once your fireworks have burned out, douse them completely in water before you throw them away. If you don’t, they could catch fire in your trash. 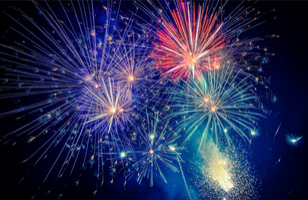 These are important firework safety tips that you should follow this Fourth of July. For more advice on staying safe this summer, visit The Benefits Store today.